Signed three years ago today, the 2030 Agenda is the international community’s ambitious response to today’s most pressing global development challenges. Signed on 25 September 2015, the 2030 Agenda for Sustainable Development is anchored on 17 ambitious goals and 169 targets to eradicate poverty in all its forms and a shared vision of sustainable development for all peoples by 2030. 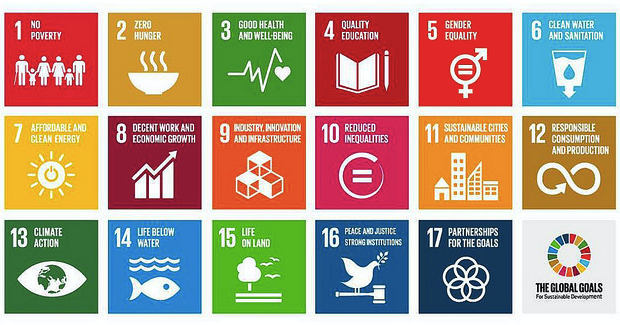 The Sustainable Development Goals (SDGs) map key global issues that need critical and urgent action for the benefit of all humanity and the planet. It is difficult to speculate if all countries and stakeholders are likely to achieve most of the targets in three years since this ambitious agenda was passed at the UN Summit. The diversity of resources available to member countries has meant a lack of uniformity in the roadmap towards implementing the agenda and ensuring that no one is left behind. The associated complexities and challenges in policy making and implementation differ across countries and regions, making it more urgent to have workable and effective accountability mechanisms in place to monitor progress. Access to quality healthcare and universal health coverage, as outlined in SDG-3, is key to attaining good health and well-being that is central to the social, economic and environmental dimensions of sustainable development. Reforming the health systems of most countries in South and Southeast Asia requires meticulous planning, coordination, financing and adoption of institutional policies to align to goals and targets of the 2030 Agenda. Most countries in the region lack an integrated national health information system to capture relevant data required for sustainable health-care planning and financing. These lapses may be addressed by strict attention to policy relevance, result-oriented health innovations, developing the country’s health research capacity and greater investment in health systems. 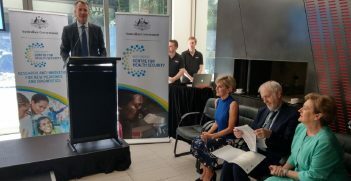 Attention must be paid to vulnerable populations that are often left out in policy delivery, such as the health of migrants, and human health during natural and man-made emergencies. In South and Southeast Asia region, where the world’s largest health vulnerable population resides, infectious diseases like H1N1, cholera, Human Immunodeficiency Virus and others have high fatality rates. Southeast Asia has the highest mortality rate from non-communicable diseases among all WHO regions (62 per cent of all mortality, affecting 8.5 million people), and the second highest (after the African region) for communicable diseases. Poverty is the reason for the highest levels of under-nutrition in South and Southeast Asia regions, which leads into ‘double burden of malnutrition’. It affects not just SDG health targets; poverty is also strongly linked to failure to achieve targets such as water and sanitation, gender equality, climate change and peace and stability. Lessons learned from advanced countries show that adapting the principles of the 2030 Agenda into local and municipal institutions is the way to go. Sweden uses a bottom-up model that utilise public-private partnership platforms and building infrastructure through collaboration between industry, academia and research associations for sustainable development by 2030. Developing and least-developed countries can assess and adapt such models to suit the specific local conditions they face to accelerate their growth in a sustainable manner. Sustainable financing underpins any system that aims to improve development outcomes. 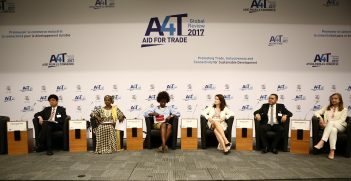 UN member states adopted the ground-breaking Addis Ababa Action Agenda at the third International Conference on Financing for Development for implementing and achieving the global sustainable development goals. The Addis Ababa Action Agenda calls on all states to increase domestic taxes and generate funds to improve domestic health care and decrease reliance on foreign aid for the development of health care infrastructure. Nonetheless, advanced countries should continue to play a major role in assisting nations with weak capabilities through sustainable investments and development cooperation in the health sector. The 2030 Agenda can be used to promote and establish regional stability, security and economic prosperity. SDG-17 emphasises on strengthening the means of implementation and revitalisation of global partnership for sustainable development. The growing role of smart power in modern diplomacy attests to the importance of health diplomacy, climate diplomacy and digital diplomacy. This is shown in Afghanistan where external partners are engaged to build the national capacity and strengthen the health system. For example, the Global Polio Eradication Initiative, which focuses on vaccination, strengthens health surveillance, political commitment, financial resources and technical support from top to bottom. The 2030 Agenda requires all countries to collectively and individually play their part in finding shared solutions to the challenges of sustainable development. When effectively harnessed, these partnerships could advance the well-being of all humanity and the sustainability of the planet. Only with such concerted and timely efforts within countries and across regions will the attainment of the goals and targets of the 2030 Agenda look remotely possible. Shantesh Kumar Singh is a postdoctoral fellow in the United Nations University-International Institute for Global Health (UNU-IIGH). 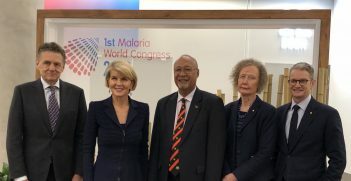 The inaugural Malaria World Congress held last month was the first global forum linking the science with the policy and practice of malaria elimination.